Today is the 6th, and I violated my No-Buy, with reasons/excuses. Dated my aunt to go collect Master (or Monster) Roma's passport - yay for brain-storming trips with baby, welcome destinations or itin ideas - and then my cousin to Causewaybay. Need to buy baby a bottle of sunscreen as we're kind of in the middle of Summer now considering the heat and humidity, and we'd like to bring Roma to the pool often. La Roche Posay seemed a 'safe' choice and we got the Anthelios Dermo-Pediatritrics SPF50+ Spray (info). I like how it is very water resistant and non-perfumed. It has Index UVA of PPD 25 which is equivalent to PA++++ (for ppd over 16). PA++++ is the highest UVA protection in the market and I'm only looking for that when I shop for new sunscreen. The assistant advised us not to spray on children under 3 directly, but to spritz it out onto our hands and then apply onto them. This I do not consider breaching my No-Buy as it is a necessity. hkd $320 / 200 ml. However, I did naughtily buy a lipstick. Went by the MAC counter, saw a full display of the new Huggable Lipcolour. Last time, Honor and I missed the collection as it sold out too quickly - I did later get hold of an Out for Passion - so this time we made sure we get one before it's too late. She is looking for really mandarin orange shade, so she purchased Love Feeling. I'm after nudes that look young and flattering on me so I opted for Soft Talkin'. The formula is a really beautiful glossy balm with a good moisture factor and cushion feeling on the lips. ADORABLE. Need enormous amount of self-control to not buy more. hkd $180 / 3.2 g.
- Been wearing sunscreen daily, even when I'm indoor until sunset, or when Sun isn't that strong. 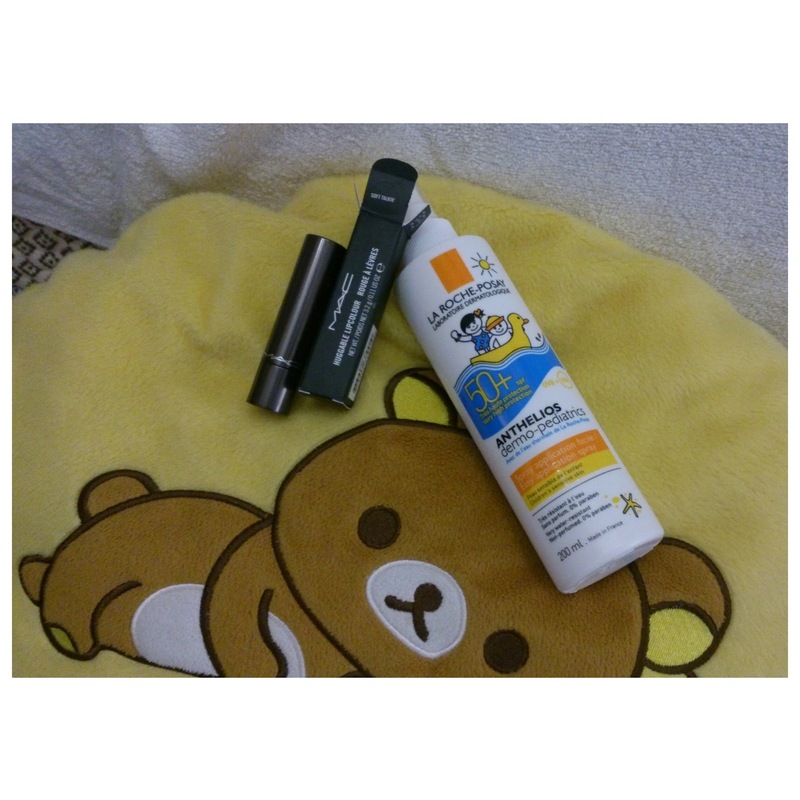 - Kanebo Dew Superior Protect Essence Concentrate II is my current favourite; has a texture of moisturising lotion and smells lovely. - Peter Thomas Roth Max Sheer All Day Moisture Defense Lotion, on the other hand, smells really sunblock-y and is very much on the greasy side. - Rediscovered my love for Nuxe Reve de Miel Hand and Nail Cream. It is divine. FYI, I like their face cleanser and lip balm in stick, but do not like the lip balm in pot. - No New Before Old. Elaboration: this doesn't include samples or colour make up items. Well, for the past few days I've had an urge to try out the Dorissiderm and Andalou masks which I've bought but never used. I will try harder to use up one or more currently opened masks in order to whack those open! - Doing mask more often than planned, and I've been posting them on my IG. If you do not want to open an IG account or follow me, just check out the left bar of my blog, I do have a little box where my recent IG udpates will show up in. - Caroline Hirons, a very dangerous skin care enabler, have a Cult Beauty Box coming. Info. I have no idea what's in it or how much will it cost but I have a feeling I need to get one. 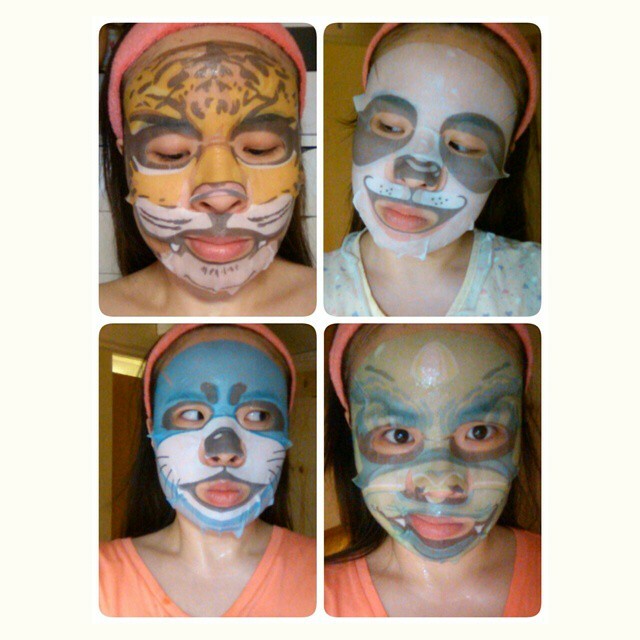 - SNP Opera Mask, and perhaps more Animal Masks - I like Otter and Tiger. I know I'm not alone on the constantly-wanting-to-buy-more-products state. What (else) are you tempted to buy NOW?